Master Baker Fabio Albanesi, manager and owner of Pregiata Forneria Albanesi in Roma, Fiano Romano and Senigallia, deals with the training of operators in the white art (chefs, bakers, pizza chefs and pastry chefs) and for whoever wants to approach the sector with a view to professionalism. management of production and the laboratory. The term white art refers bread making, making pizzas and pastry making. Master Baker Albanesi’s lessons are based on the creation of an excellent product that is looked after in all its stages and with all round training. The choice of excellent quality ingredients, the formation of the dough and the management of the yeast up to the leavening and until the product is cooked. 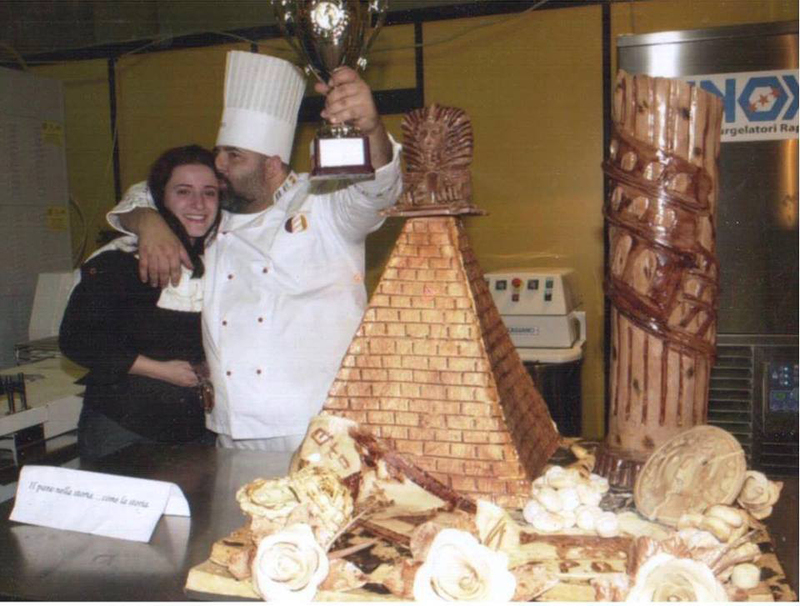 Fabio Albanesi, many times Italian and European champion and President of the bakers section of Confartigianato Imprese Rome, Board Member of Confartigianato Italia and Vice President of Confartigianato Italia food section. He was little more than twenty when he started his first activity for which still today, he is responsible for the whole production at the 3 points of sale in Rome, Fiano Romano and Senigallia. 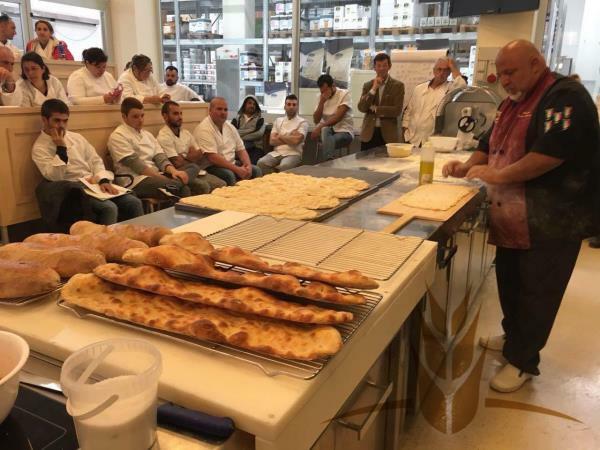 After a few years he added to the management of his company the teaching of professional courses in the school of the Lazio Region for baking bread and pastries and from this collaboration he received the official title of Maestro panificatore. (Master Baker). In addition to being the technical manager of the young national group, he became a promoter and executor of numerous initiatives related to his work. In 2012 the Vatican appointed him Knight of Malta. He has always been involved in the social welfare field; at thirty Fabio Albanesi collaborated with the Life Association beside fashion designer Valentino and the manager of the association Sergio Valente for a charity initiative in support of children with AIDS and participated in a number of initiatives ties to Telethon.